Uke attempts to grab ton's wrists. But before he can, tori grabs uke's left wrist with his left hand and uke's right wrist from above with his right hand. Tori then steps in with his left leg and turns 180 degrees. 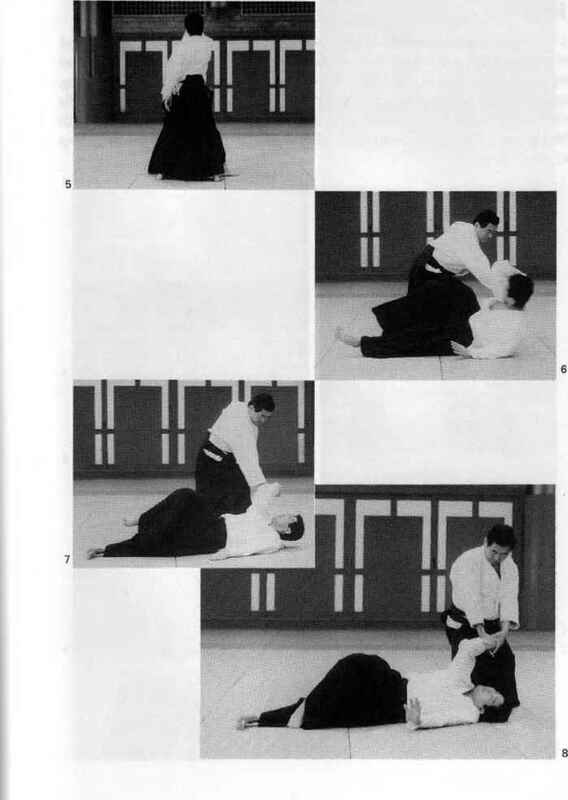 Tori extends his right arm fully and pins uke's left arm under his chin. Uke delivers a shomen strike to iorfs head with his right hand-sword. 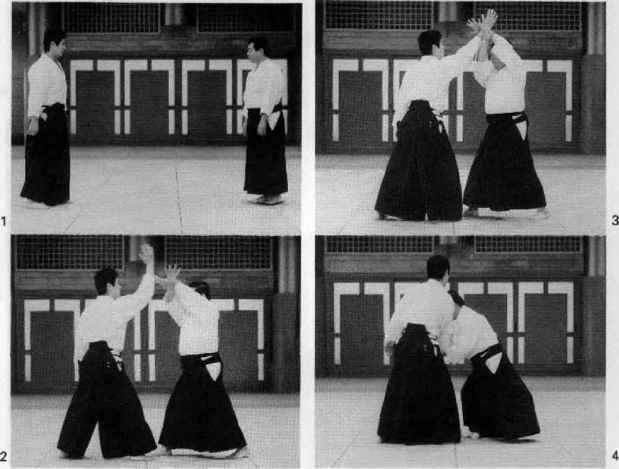 Tori steps in with his right leg, crosses his arms, and blocks the attack. 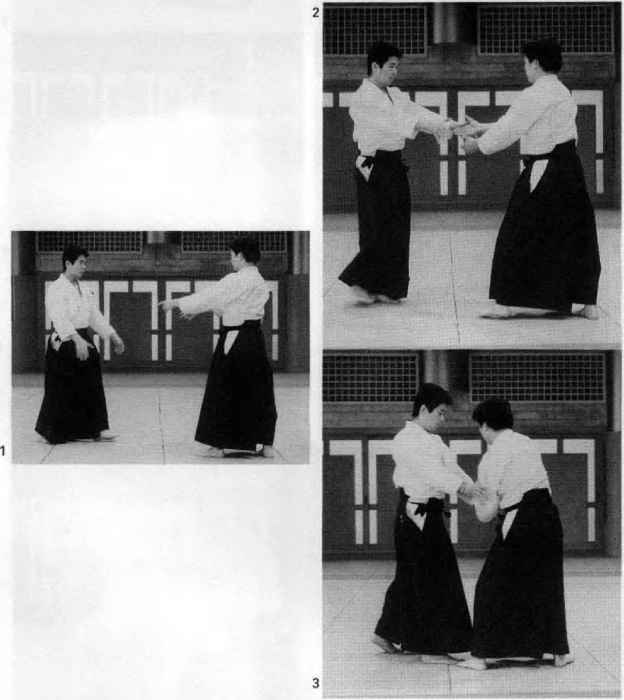 Tori then cuts downward with his left hand-sword and grabs uke's wrist at the pulse with his right hand. 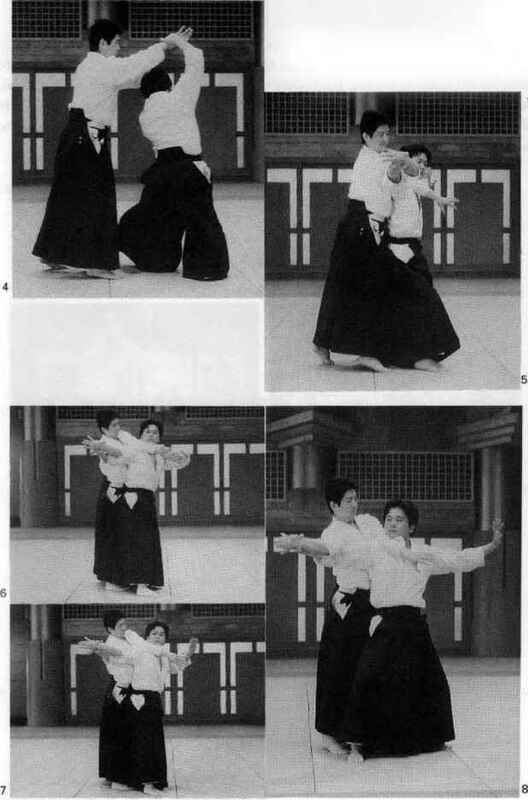 Next, tori steps in with his left leg, pivots 180 degrees, and cuts downward to bring uke to the ground. 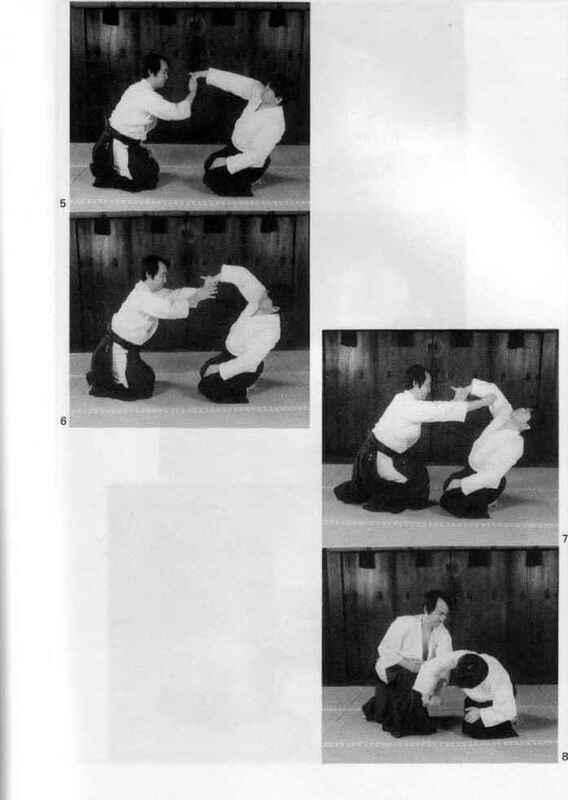 Tori then grabs ukes right wrist with both hands, and applies pressure to uke*s wrist and elbow to complete the pin.